Believing it is important for students to be exposed to many different styles of teaching, Linda McDonald invites many guest teachers and choreographers from several prestigious companies in the Chicago area. 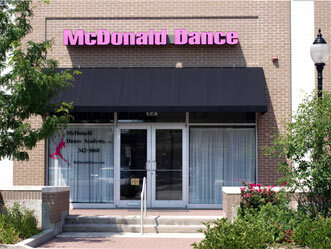 The Arlington Dance Ensemble, which is composed of local dancers ranging in ages from 10-18, is associated with McDonald Dance Academy. The purpose of the Ensemble is to provide dancers an opportunity to take what they have learned in the classroom and perform it in the area. Each year the Arlington Dance Ensemble presents a Winter Gala and co-hosts the “DFL: Next Generation.” The proceeds from this event go to The Aids Foundation and The Children’s Place in Chicago. “This is a way for the dancers to use their gift of dance and share it, so others may benefit”, says Linda McDonald, Director. The Arlington Dance Ensemble also performs annually at local functions and many retirement homes. To learn how you can become an Ensemble member.